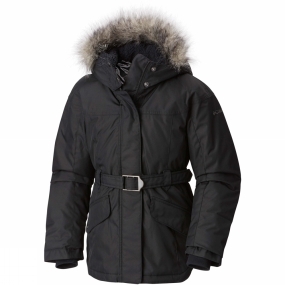 This Columbia Girl's Carson Pass Jacket is perfect for sporty young ladies, and will give them all the weather protection they need, no matter how chilly it gets. Thermal reflective lining conserves body heat and keeps them reliably snug while water-resistant fabric shrugs off drizzle and showers. The Outgrown system lets you rest easy knowing you don't need to buy replacement clothing quite so often as they get taller.